It goes without saying that I would be happy to recommend your services to other people considering similar improvements to their dental health and smile. Many patients come into our Glasgow dental practice wanting to improve the appearance of their smile. At Dental FX we believe that choice matters – there is no “one-size-fits-all” treatment in dentistry. We welcome patients interested in cosmetic dentistry for a consultation with one of our experienced cosmetic dentists to see how we can help you boost the appearance of your smile. Cosmetic dentistry covers a huge range of treatments, from quick and simple options such as teeth whitening to orthodontics to straighten your teeth, and complex full-mouth restorations. We use the latest tried and tested techniques and technology to help patients improve the appearance of their smile, and with it to boost their self-confidence. Whatever your concerns about your smile, big or small, we are confident that we will be able to help you. You may benefit from one cosmetic dental treatment or from combining two or more treatment options from our extensive menu. The most common procedure in cosmetic dentistry, teeth whitening involves using special whitening gel and custom-made whitening trays to safely and gently remove everyday stains from your teeth. We offer a 'same day' service for this treatment at our Glasgow Practice. Veneers are very thin shells of porcelain or ceramic placed over the front surfaces of the teeth to improve their appearance. They can disguise a permanently discoloured tooth and can correct minor issues with spacing and alignment, as well as repairing mildly cracked or chipped teeth. 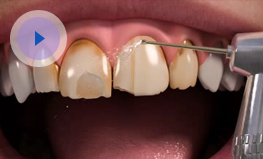 We offer same day veneers at our Glasgow practice. Tooth contouring uses a polishing tool to reshape and alter the size of a tooth that is out of proportion to your other teeth or that has been damaged. It requires no anaesthetic and makes brushing/caring for your teeth easier. 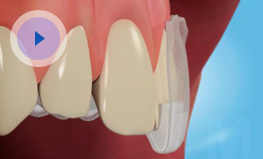 Orthodontics deals with the alignment of teeth. If we identify any alignment issues, we will refer you to a respected orthodontist for further treatment.